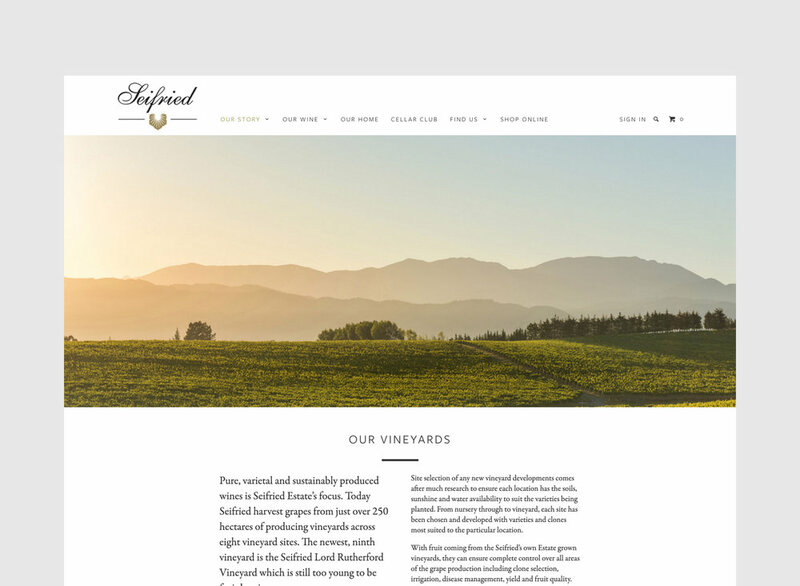 Seifried Estate is a third generation wine maker on the Waimea Plains. They had an existing Shopify website which wasn't mobile friendly and had dated design. Our challenge was to produce an online store that put the story of Seifried first, while still allowing visitors to easily purchase wine online. Using a print/ typographical approach to design we created visual storyboards that enable visitors to explore and engage with the Seifried story and brand.